NPR News Nuggets: 108 Years Later, Crazed Coffee Consumers & Kit-Kat Nabber Here's a quick roundup of some of the mini-moments you may have missed on this week's Morning Edition. The Chicago Cubs celebrate after winning 8-7 in Game Seven of the 2016 World Series. It had been 108 years since the team won their last series. Hello, my name is iPhone 7. That's what one Ukrainian man will be saying for the foreseeable future as he meets and greets with others. The man formerly known as Olexander Turin decided there was nothing he wouldn't do for the new iPhone 7, which meant changing his name was no big deal. An electronic store in Ukraine made him the offer — officially change your name and get the new iPhone 7 for free. As Morning Edition host David Greene said on Monday, only the first five people to agree got the deal, but the former Mr. Turin was one of those lucky five. Reports say his family was a little weirded out by this, but still supported him. They probably felt more at ease when he said he'll change his name back when he has kids. "Think Different" served as Apple's first motto, but the jury is still out on what the company's founding father Steve Jobs would think about this situation. When Kansas State student Hunter Jobbins left his car parked outside a dorm with the doors unlocked, a passerby saw an opportunity and took it. The opportunity was a Kit-Kat bar in the cup holder and it was gone. Everyone has a favorite candy bar, and some people just can't pass up the chance to indulge in one when the opportunity presents itself — even if that opportunity is going into someone else's car and taking one they see. That's basically what happened to Kansas State student Hunter Jobbins. As Morning Edition host David Greene reported Wednesday, Jobbins left his car outside his dorm for 15 minutes. It was the perfect setup. The car was unlocked. There was a Kit-Kat bar in the cup holder. What more can you ask for? 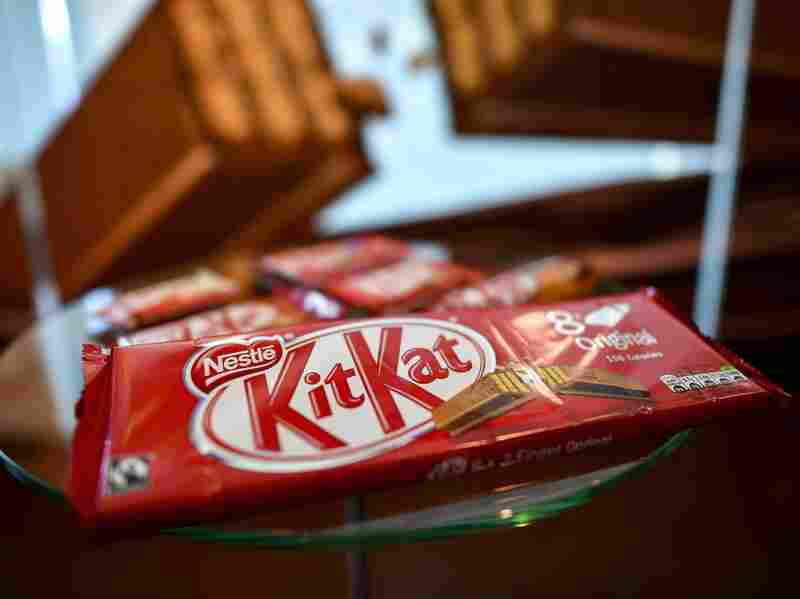 Jobbins came back to his car and found a note that read, "Saw Kit-Kat in your cup holder. I love Kit-Kats, so I checked your door and it was unlocked." The note went on to say that the writer had taken the Kit-Kat, but nothing else, and ended with "I am sorry and hungry." And in case Jobbins couldn't get another Kit-Kat, the makers of the bar tweeted saying they'd be happy to send him some replacement candy. At Morning Edition everyone is obsessed with news and coffee, which means news about coffee is big around the show. As Morning Edition host Renee Montagne said Wednesday, according to a research firm, DataSsential, millennial coffee consumption is reaching record heights. The group drinks around 44 percent of the coffee consumed in America. So this high demand combined with the droughts in coffee-growing countries is slowing the global coffee supply to a drip — which is also a type of coffee. See? Obsessed. After 108 years of tough losses and just not quite being good enough or, well, good at all, the Chicago Cubs won the World Series this week by beating the Cleveland Indians in Game 7. Now if there's one thing to know about Cubs fans, it's that they're extremely loyal to the team, no matter what the season's record shows. As Morning Edition host Renee Montagne told us Thursday, the Cubs decided they wanted to do something for the fans who were determined to make it to the game and those who needed to be sure to watch the final match-up. They wrote an excuse note that was as official as a "Get Out of Jail Free" card in Monopoly. In the letter the team's Twitter account said "We need all the support we can muster up, and ____ has been an integral part of our fan base for ___days/weeks/months/years, and we cannot #FlyTheW without them." And, at the request of some users, they issued another excuse note for the day after. A lot happened in 2014. The Ebola epidemic made its way to America, Sony was hacked, Obama announced the U.S. would start working to mend relations with Cuba, and @RaysFanGio sent one fateful tweet prediction — that almost came true. Back then former Tampa Rays Joe Maddon went to the Chicago Cubs. 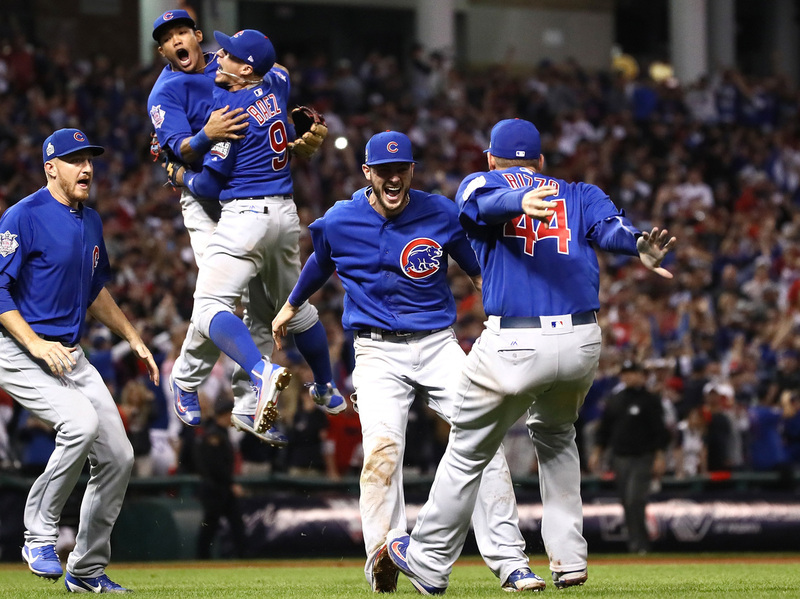 As Morning Edition host Steve Inskeep told us Thursday, the Twitter user predicted the 2016 World Series would be between the Chicago Cubs and Cleveland Indians and "then the world will end with the score tied in game seven in extra innings." @RaysFanGio was almost right. The Game did go into extra innings after the Indians tied the score 6-6, but in that extra inning the Cubs did win 8-7, and the world has not ended. Yet.